Established in the year of 2001, we "Blue Shine" are known to be one of the prominent and trustworthy organizations of the industry actively engrossed in manufacturing.Cuff links and Tie Pins. We are manufacturing these products by employing and latest tools and technology under the firm direction of our highly qualified and experienced professionals as per the defined industry norms and standards. To craft and design these products as per the assorted norms laid by the industry, we have developed a highly advanced and well equipped infrastructure facility. Here we have installed modern and upgraded designing tools. Leveraging to our quality assured and effective range of products, we have developed a huge client base across the globe. Some of them are H.S.B.C, Birla Sun life, Piramal Health Care, John Players, IPL and Tata Motors. We are also exporting our products to U.K, U.S.A, Canada, Australia, France, U.A.E, Africa and South Africa. 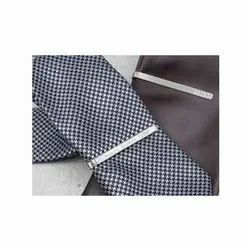 Looking for TIE PINS ?